First there was The Big Fish Race. 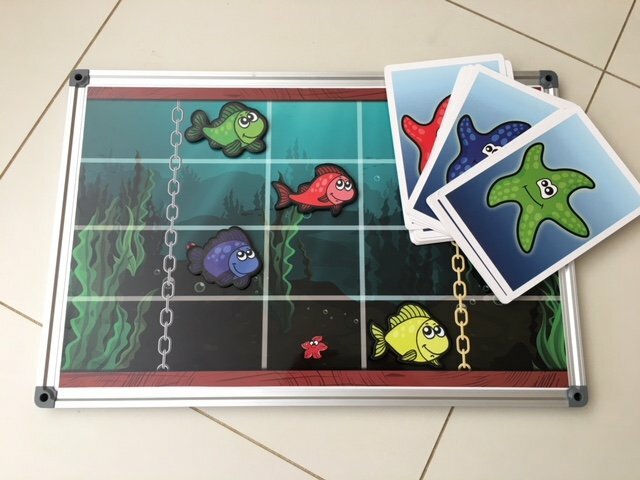 I ended each party with this game, where the birthday child raced his or her fish against three grown-ups to see who would win the Star Prize! 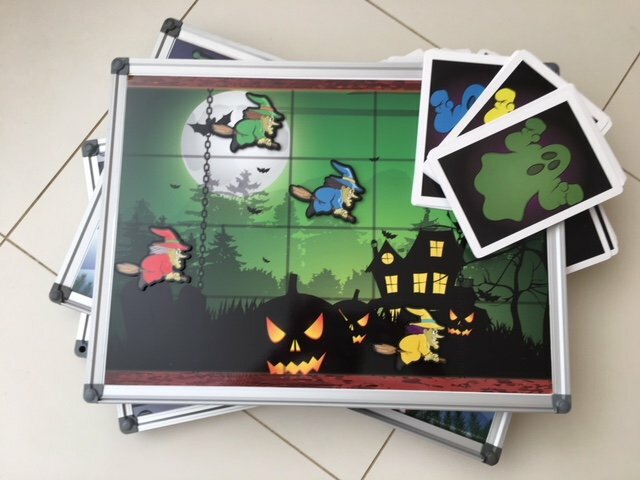 (Spoiler Alert: The game is actually a magic trick, and despite the fact that the child can choose any coloured fish, and that two independent adults shuffle the cards, the child ALWAYS wins, guaranteed!) It’s a wonderful way to end a party, with the birthday child being the star of the show, all their friends cheering on their fish, beating the grown-ups and winning a special prize as well. Next came The Space Race, with the child racing their rocket against the grown-ups’ to win a race across the universe. Then came The Wacky Winter Race. 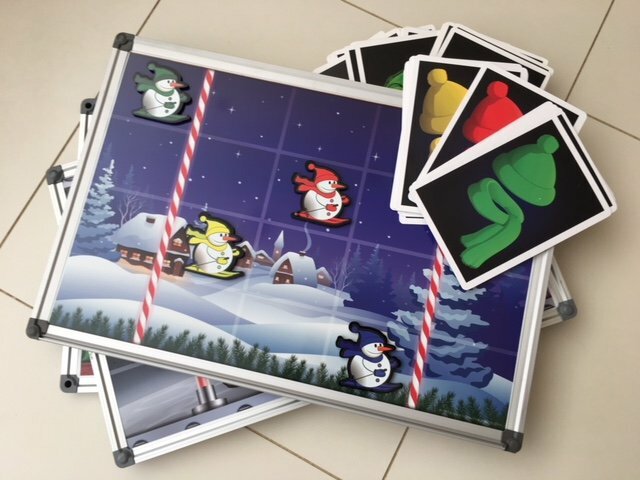 Crazy snowmen on skis racing to the North Pole. And each time, the child beats the grown-ups and wins a special prize at the end of the party. This one is GREAT for Christmas parties. Then last year I invested in The Spooky Race: witches on broomsticks in a race across a very spooky landscape. And now comes The Super Hero Race. 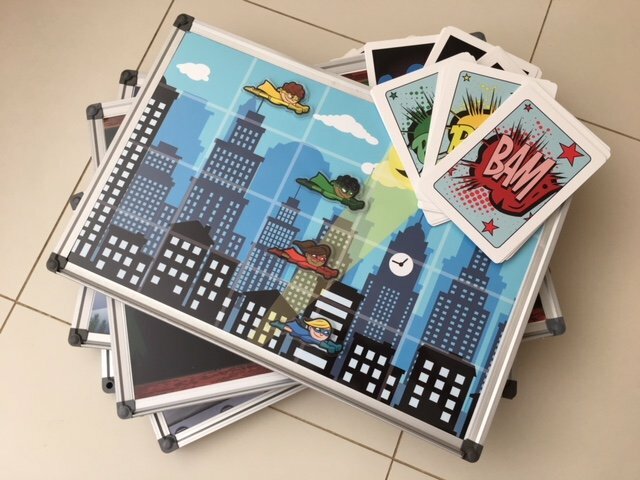 Four super heroes race across the city to save mankind. And d’ya know what? The birthday child’s super hero always wins. A really super hero! Why am I telling you all this? Well, a number of reasons, really. The first is to say that if you book me for your child’s party, he or she will be the star of the show. The Race Games are just one of the ways I’ll make your son or daughter feel special on her special day – like these twins playing The Big Fish Race recently. And because I have a number of different versions already, I can adapt my show to your party. I always try to personalise the content of my show to the birthday child’s interests. Last weekend it was a young man who loved Spiderman, so of course we played The Super Hero Race game, and low and behold he won a special Spiderman prize at the end of the show. I do the same at Halloween and at Christmas. At these times of year I design special shows to match the seasonal celebrations. At Halloween I produce a show full of creepy crawlies, monsters, ghosts and ghouls. And each year I develop a new Christmas show with Santa and Rudolph, presents and snowmen, so The Wacky Winter Race is an ideal climax to Christmas parties, as you can see below. 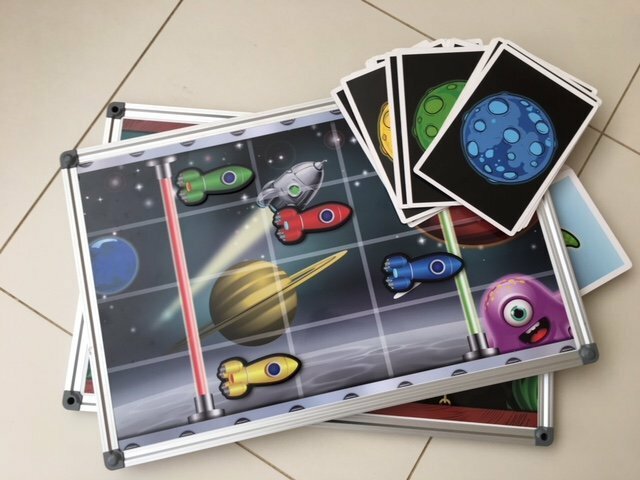 The fact is, that with enough notice and for a small fee, I can make a race game to precisely match the theme of your son or daughter’s birthday party. You want racing unicorns? You’ve got it! Racing cars? No problem! Racing princesses? You’re on. 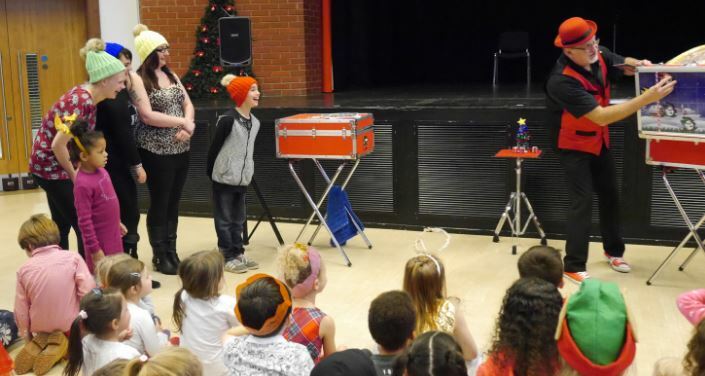 The more notice you give me, the more chance I have to make your party unique, but even at short notice I will always do my best to personalise my show to your child and to your party. If you’re planning something special, why not drop me a line and ask me what I can do? I’ll be more than happy to help. 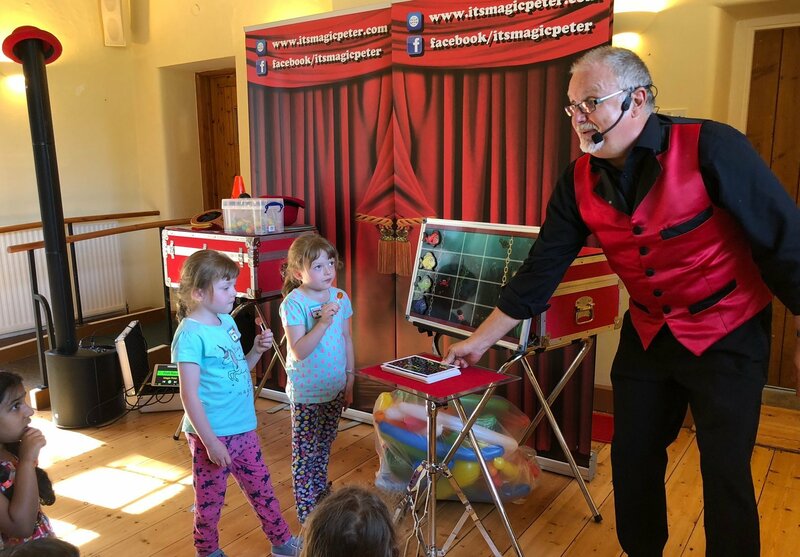 If you’ve been to a Magic Peter party and seen the Big Race Games in action, post a comment and let everyone know how loudly the kids cheered on the birthday child and how excited her or she was at beating the grown-ups and winning the star prize. Next PostNext Does Balloon Modelling Harm the Environment?